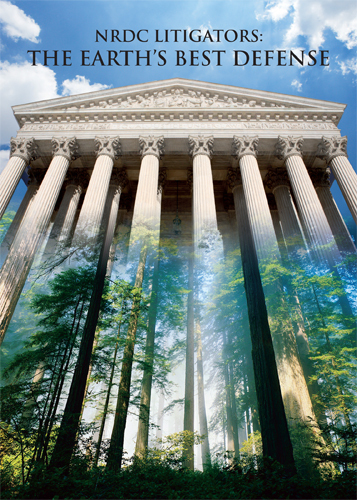 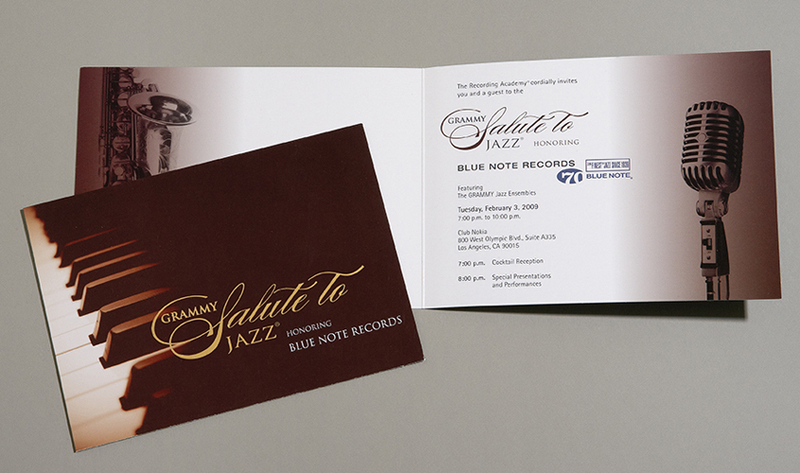 An invitation is a promise: attend this event, and you’ll be talking about it for weeks. 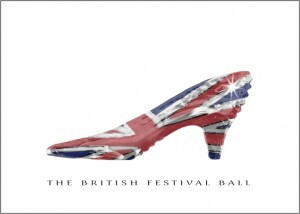 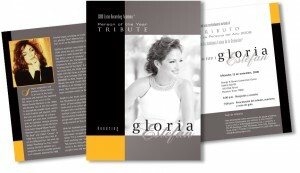 Whatever the occasion — awards, entertainment, a good cause—the invitation should inspire an excited, “Yes! 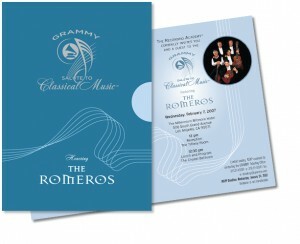 I’m in.” We love working with clients to make sure that happens. 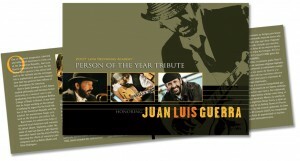 For the Latin Recording Academy’s “Person of the Year Tribute” to Juan Luis Guerra, metallic inks and a vivid yet earthy palette capture the strength and energy of the artist’s music. The invitation to the Latin Recording Academy’s tribute to the legendary Gloria Estefan called for metallic gray, black, and gold in a sophisticated color-block design. Nuit Blanche — Paris’s annual nighttime art festival — was the theme of a fundraising gala for Le Lycée Français de Los Angeles. 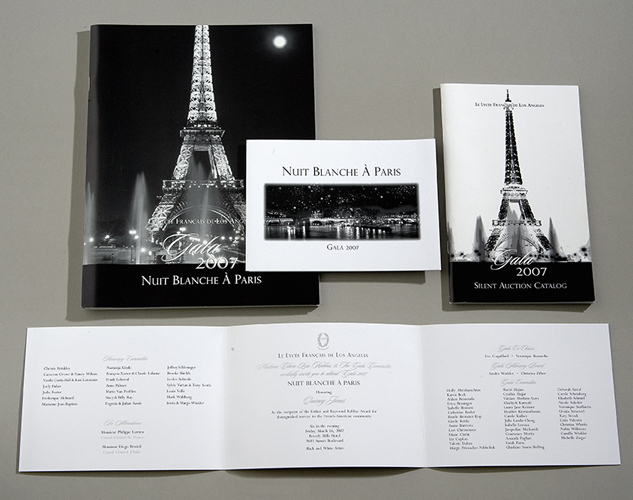 A black-and-silver palette and romantic shot of the Eiffel Tower lent a fun and very French feel to the invitation, program, tribute book, and other items such as tickets and auction catalog. 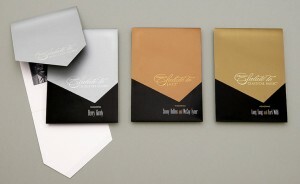 The two-color palette kept the cost in check. For three Grammy “Salutes” — to Industry Icons, Jazz, and Classical Music — the fold-over invitation resembles a silk necktie against a dark suit. Silver, brass, and gold metallic inks enhance the glamorous effect. 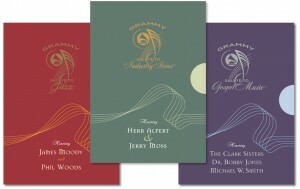 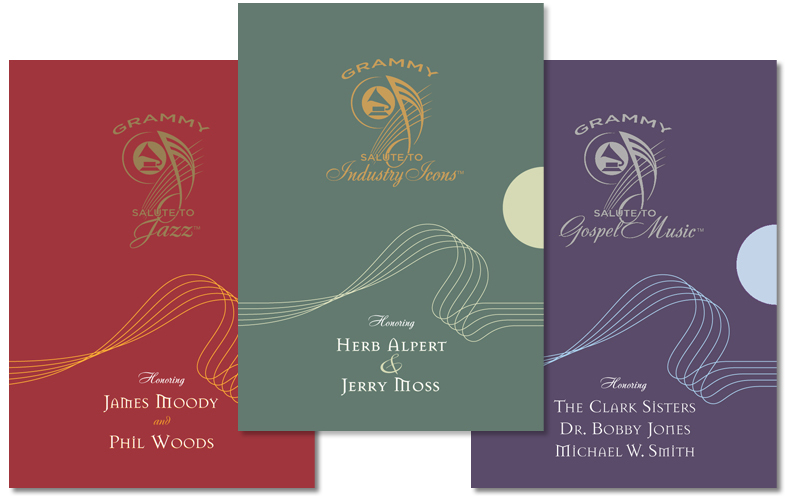 Invitations for Grammy “Salutes” honoring Classical Music, Jazz, Industry Icons, and Gospel Music feature playful musical notes and staff lines against rich jewel tones. 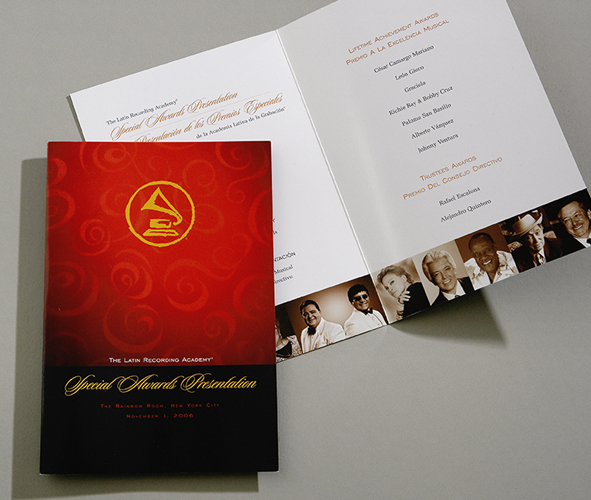 Program for a Latin Recording Academy event, the “Special Awards Presentation.” Our goal was to hit the visual sweet spot between fiery and formal.